Pentru ca Bioterra Natural inseamna si creativitate, inovatie si dorinta de a veni in intampinarea gusturilor si preferintelor cat mai diverse, am creat o intreaga gama de sucuri naturale de fructe si legume, disponibile in ambalaj de tip bag-in-box de 3, 5 sau 10 litri. 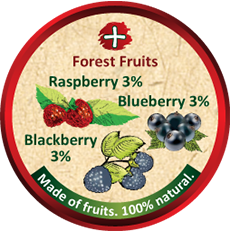 La fel ca si sucul natural de mere clasic, integral tulbure, toate sortimente de sucuri naturale de fructe si legume Bioterra Natural sunt 100% naturale, cu continut de 100% fructe si legume autohtone. 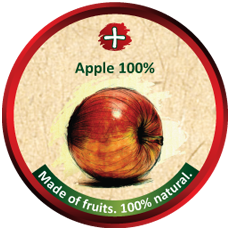 The classic apple juice has gained its popularity due to its sweet, savory taste, and its exceptional nutritional qualities. Rich in vitamins, minerals, antioxidants, soluble fiber and pectin, a glass of 100% natural cloudy apple juice drank every day will definitely keep the doctor away! One of our bestsellers, a tasty combination of sweet apples and delicious forest fruits, bursting with vitamins, minerals and antioxidants. 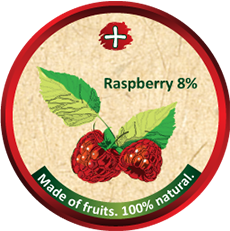 The harmful effects of free radicals can be efficiently fought against by a daily glass of 100% natural cloudy apple and forest fruits juice! A delicious pairing, apples and blueberries make for a savoury and super healthy natural juice! Anthocyanin is the compound responsible for blueberries’ bright colour. 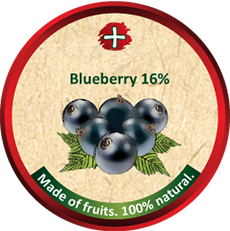 A powerful antioxidant phenol, anthocyanin fights against free radicals and lowers the risk for cardiovascular disease. Fragrant and savoury, raspeberries are incredibly healthy. Despite their small size, they have an impressive nutritional profile, being rich in antioxidant flavonoids which protect against all types of cancer, and nutrients that nourish the body. 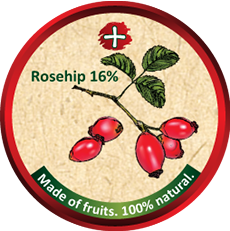 Did you know that these little red rosehip fruits contain ten times more vitamin C than imported citrus fruits? Paired with the nutrients in apples, here we have a sweet and healthy juice that energizes our body and strengthens our immune system. Drink it daily and your body will thank you! Pairing apples and cranberries resulted into a sweet and sour juice, perfect at any time of the day! 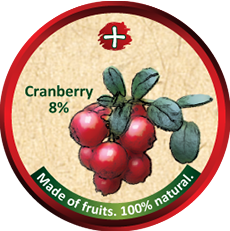 Cranberries are natural antibiotics, rich in compounds that fight inflammation and infections. Add to it the antioxidants found in apples, and we’ve got ourselves a health boosting cocktail! 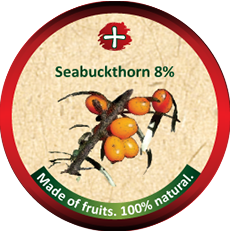 Rightfully seen as a superfruit, sea buckthorn packs an impressive quantity of vitamin C, beta-carotene, lycopene and Omega essential fatty acids. Its astringent taste is pefectly balanced with the sweet one of the apples, making for an excelent antioxidant cocktail. 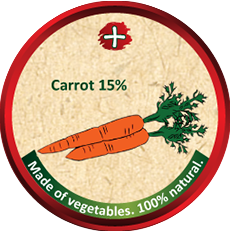 The combination of carrots and apples is a classic, much appreciated by both children and adults. Rich in beta-carotene, carrots are the go-to veggie for maintaining one’s healthy vision! Not too sweet, but very tasty, a glass of apple and carrot juice is the perfect choice for breakfast. An amazing fruit and veggies trio! 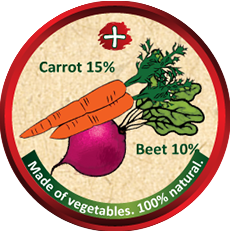 The apple, carrot and beetroot juice is rich in beneficial compounds that contribute to lowering blood pressure. It’s revitalising, detoxifying, and it boosts the immune system. A true health elixir, this 100% natural juice should be drank daily! 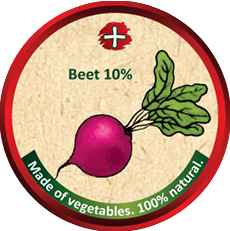 The appetizing ruby-colour and great taste of our apple and beetroot juice comes from the betacyanin found in beetroot, a powerful anti-cancer agent. Very helpful to the liver, a glass of apple and red beetroot juice drank every day helps the body detox in a natural way. 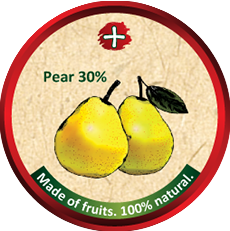 Sweet, juicy and full of flavour, pears are absolutely delicious next to apples! Having a low glycemic index, a glass of apple and pear juice satisfies your sweet tooth, tames hunger and prevents cravings. Rosehips have 50 times more vitamin C than lemons. Pretty impressive, isn’t it? Rich in all sorts of vitamins, minerals and antioxidants, rosehips have numerous health benefits, from aiding in managing diabetes in improving blood circulation. Full of flavor, the combination of apples and strawberries is one of the most loved, especially by children. 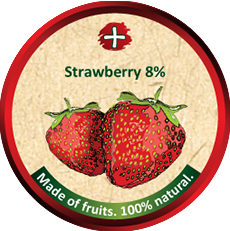 The delicate strawberries come packed with vitamins and folic acid, whereas the apples throw in some flavonoids and polyphenols, making for a delicious and completely natural recipe for health!